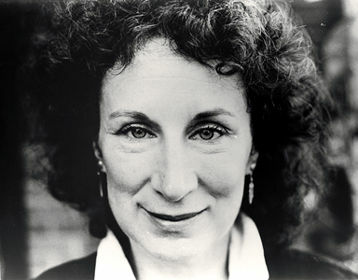 Already well established as a poet by 1969 having won the Governor General's Award for The Circle Game and published several other poetry collections, Margaret Atwood's The Edible Woman was her first published novel. I first read it in the last years of secondary school - I was perhaps 18 at the time, and as one might expect, a great deal of it went flying straight over my head. Hopefully, my experiences in the intervening years have helped in my appreciation and understanding. An office worker newly graduated from university, Marian McAlpin, the protagonist, works for Seymour Surveys, assessing the appeal of various consumer products on the public. She shares living quarters with her friend Ainsley, a free-spirited girl, and is engaged to Peter, a lawyer. Marian, although an intelligent and likeable person, is put upon by everyone in her life; her boyfriend takes advantage of her emotionally, her roommate takes advantage financially, her employer takes advantage of her by forcing her to work during her off-hours, and her married friend Clara just takes her for granted. Marian is drifting through her life without clearly delineated desires or goals and so is easily manipulated and imposed upon by those around her. It is such a shock to encounter some of the thinking that went on without question before the arrival of Second Wave Feminism. There are little hints that this was a different world from today; a world in which it is just assumed a woman will relinquish her employment when she got married, or in which higher education for woman was still treated with suspicion. The infantilising nature of the treatment of women in the novel (especially by Marian's landlady and boyfriend) was striking, and (fortunately!) dated. Reading The Edible Woman felt less like a treatise on the state of women's issues, and more a reminder of how much the position of women in (Canadian) society has changed in forty years. Marian is something of an Alice in Wonderland character. Just as Alice falls down the rabbit hole into a topsy-turvy world where nothing makes any sense, Marian is a sane woman living in an upside down world where an educated, intelligent woman must find her place in a society that is incapable of seeing women like Marian as individuals. Marian must forge a path for herself through the maze of confusing messages and examples before her. Of course everyone knows Alice is a sexual-identity-crisis book, that’s old stuff, it's been around for a long time, I'd like to go into it a little deeper though. What we have here, if you only look at it closely, this is the little girl descending into the very suggestive rabbit-barrow, becoming as it were prenatal, trying to find her role, [...] her role as a Woman. Yes, well that's clear enough. These patterns emerge.[...] One sexual role after another is presented to her but she seems unable to accept any of them, I mean she’s really blocked. She rejects Maternity when the baby she’s been nursing turns into a pig, nor does she respond positively to the dominating-female role of the Queen and her castration cries of ‘Off with his head!’ And when the Duchess makes a cleverly concealed lesbian pass at her, sometimes you wonder how conscious old Lewis was, anyway she's neither aware nor interested; and right after you’ll recall she goes to talk with the Mock-Turtle, enclosed in his shell and his self-pity, a definitely pre-adolescent character; then there are those most suggestive scenes, most suggestive, the one where her neck becomes elongated and she is accused of being a serpent, hostile to eggs, you'll remember, a rather destructively-phallic identity she indignantly rejects; and her negative reaction to the dictatorial Caterpillar, just six inches high, importantly perched on the all-too-female mushroom which is perfectly round but which has the power to make you either smaller or larger than normal, I find that particularly interesting. And of course there's the obsession with time, clearly a cyclical rather than a linear obsession. So anyway she makes a lot of attempts but she refuses to commit herself, you can’t say that by the end of the book she has reached anything that can be definitely called maturity. 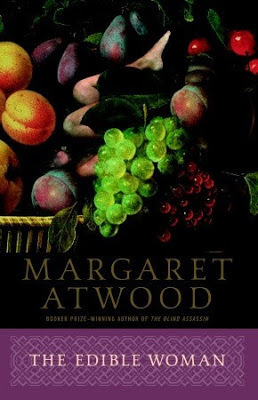 There is all of Margaret Atwood's distinct cleverness and wordplay in abundance here, and although there is evidence that this is an early work compared to her more mature novels, this is a masterful creation. Her ability to interweave so many threads to deftly produce the final product always leaves me marvelling at her skill. I highly recommend The Edible Woman.